Not only are they unique, they are fun and one of Mountain & Skye’s best selling earrings! 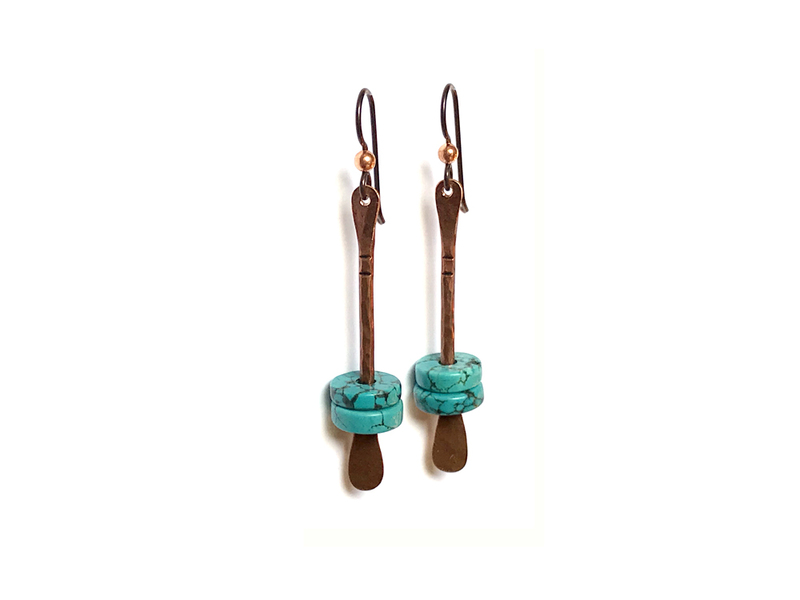 These earrings feature two turquoise disc beads. Turquoise and copper always compliment each other so well, don’t you think?